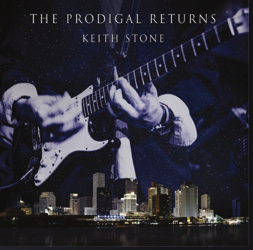 I am rarely disappointed when I get new music out of New Orleans, and Keith Stone’s debut solo album, The Prodigal Returns, is no exception – this stuff is dynamite! Stone is the real deal, born and raised in the Crescent City, where he learned his craft and cut his musical teeth. After a successful stint on guitar with Willie Lockett & the Blues Krewe, Keith and his wife Cindi left town in the mid-90s so he could get his life in order and he found a place in the world where he could use his musical gifts as a ministry to help others. But Keith and his wife could not give up on his old hometown and after Hurricane Katrina tore the city apart in 2005, they did what they could to help out. That was not enough for them, and they ended up moving back to The Big Easy a few years later to start a non-profit that recruited thousands of volunteers and raised millions of dollars to aid in the much-needed recovery. It did not take very long for Stone to renew old acquaintances and work his way back into the local music scene, and many of these friends pitched in to help out on this album. For the core band Keith handles the vocals and guitars, producer David Hyde plays the bass, Nelson Blanchard is on the drum kit (as well as backing vocals and keys), backing vocals are provided by Elaine Foster, and Lacy Blackledge and Mike Broussard play the horns. That is not all, as you will find that there are a lot more friends that stopped by the studio. The Prodigal Returns is bookended by a pair of tracks that are the essence of New Orleans. Credit for this goes to the inclusion of the legendary Dr. John on piano, Joe Krown on organ, Bruce “Sunpie” Barnes on accordion, Doug Belote on drums, and a horn section that includes Tim Stambaugh (sousaphone), Kevin Clark (trumpet), David Phy (trombone), and Cale Pellick (saxophone). The way that “Prelude” and “Just a Closer Walk with Thee” are presented makes them timeless, and the sound is just right with the snare, accordion, and piano perfectly set in the mix. 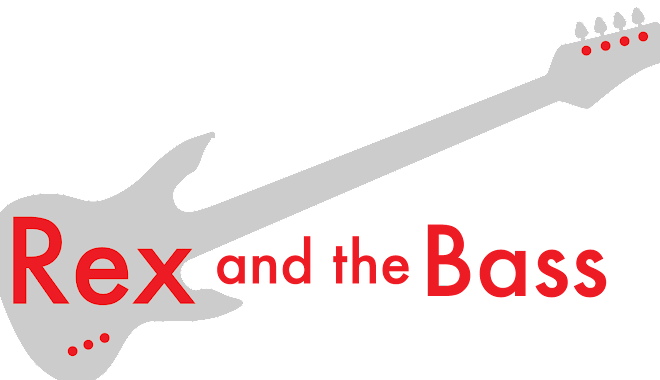 In between these two tunes there is a well-rounded selection of songs in musical styles that represent a lot of what the town has to offer. -- “First Love” is a smooth and dramatic blues song with a lot of space in the bass line and tight horns from Blackledge and Broussard. Blanchard shows a lot of versatility by filling in some tasty piano and organ work as Stone wails on the guitar and belts out the vocals. -- “Cindi Leigh” is a sweet ode to Keith’s wife, and it has a cool New Orleans feel thanks to Sunpie’s accordion, and a little frottoir (washboard) and cowbell from guest artist Andy J. Forest. As an added bonus, Broussard nails a solo on his sax and Blanchard provides vocal harmonies as needed. -- You cannot beat a cool and jazzy instrumental, and “Buster’s Place” delivers. Stone has a different guitar tone on every track and this is one of the tastiest ones that you will find on The Prodigal Returns. It mixes well with the horns, including a crazy good trumpet solo from Lacy Blackledge. Keith Stone has crafted a wonderful tribute to New Orleans with The Prodigal Returns, and it is a slick journey through the many types of roots and blues music that can be found in his hometown. He has proven that he is a very good singer, songwriter, and guitarist, and he not letting any grass grow under his feet as he is already working on a new project with plans for touring later this year. But for now make sure you check out his new CD, as it is a winner!